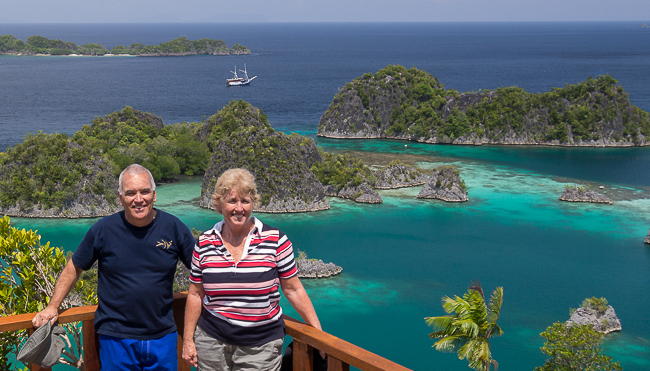 Jeff & Dawn Mullins are expat Australian's who reside in Tulamben, Bali and travel the seas of eastern Indonesia. We have been regularly visiting Indonesia, and in particular the north east coast of Bali, since 1980. 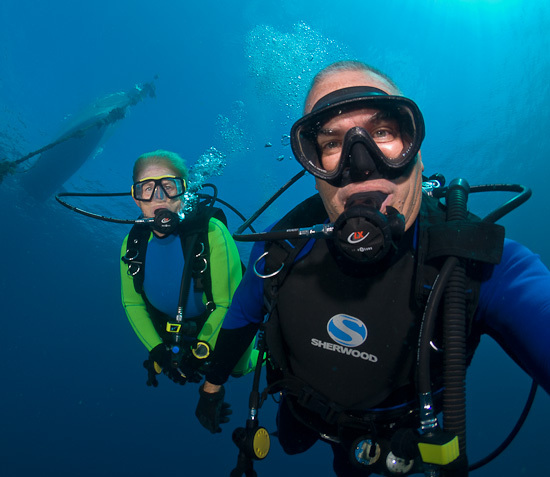 Jeff has been photographing Indonesia's marine life for over 30 years and has written many feature articles on Indonesia for dive publications around the World since 1988. In short - we have fallen in love with Indonesia, its people and its underwater wonders. In 2004 we moved to Tulamben to facilitate further exploration of the many dive sites that we knew existed around the area. We have been living in Tulamben for 8 months each year and have now discovered many new dive sites and constantly search for more. Since 2006 we have been exploring eastern Indonesia onboard traditional phinisi schooners to discover the rich reefs of this region. Join us on a live aboard dive adventure of a lifetime to Flores, Komodo, Sumbawa, Alor, Raja Ampat or Sulawesi. In 2017 we have found more dive sites than ever before, some of the best in the most unlikely of places! Around Tulamben, we can help organise land tours of the area, as well as visits to to local points of interest. We can help to book you into any of the hotels in the Tulamben area, from basic fan cooled economy rooms through to air-conditioned luxury. We know each of the hotels and can recommend the best for your needs. We can arrange private pick-up from the Airport (or anywhere on Bali) and bring you directly to Tulamben. or by clicking ﻿﻿on the Contact link in the main menu. If you would like to see some of Jeff's latest underwater photography, please visit our Flickr Photo Album .